Formerly associated mainly with heavy industry, mining and metallurgy, today the city is constantly changing, turning into a modern urban centre. Are you a fan of local flavours and authentic cuisine? If so, BioBazar in Katowice is a place for you. 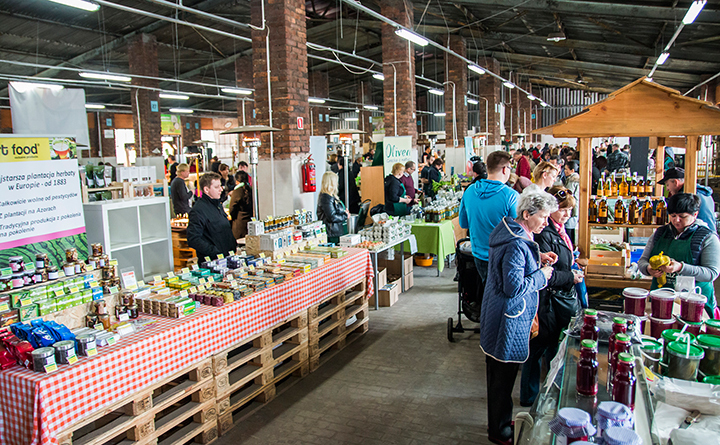 It is mainly a market with organic food – a friendly place for fans of cuisine, cooking and healthy lifestyle. You can have some delicious breakfast or lunch here, drink coffee, listen to a concert. Your children can enjoy the swings or take part in workshops on the production of soaps or cooking. You buy directly from organic farmers and producers there. They appreciate the contact and conversation with their customers, so you can always ask them about anything you want. BioBazar is not simply a place of shopping, events and meetings. Every first Saturday of the month, you can give away used electronic equipment here, and in return you will receive a nice gift. Silesians are famous for their taste for sweets, so if you still have room for dessert, it is excellent. You must take home some “Szkloki” as a souvenir from Katowice. These are sweet and sour hard candies based on natural juices of the most famous and popular fruits growing in every Silesian garden. The tradition of setting up allotment gardens in the Silesian workers housing estates was brought from England, France and Germany. 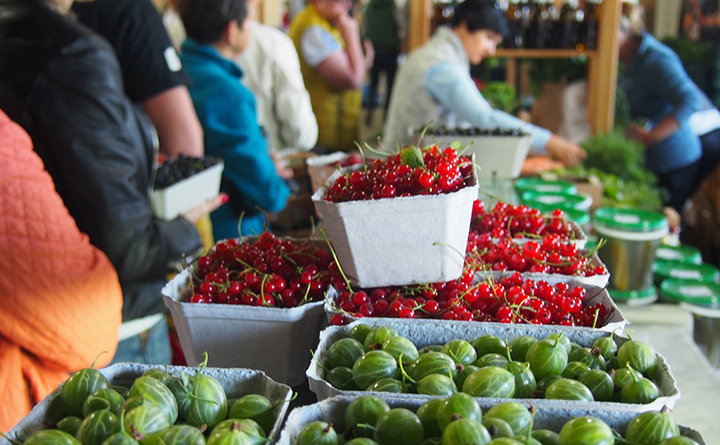 Since then, grapes, plums, gooseberries, currants and rhubarb have been the basis for the finest cakes, compotes and wines prepared every summer in Silesian homes. 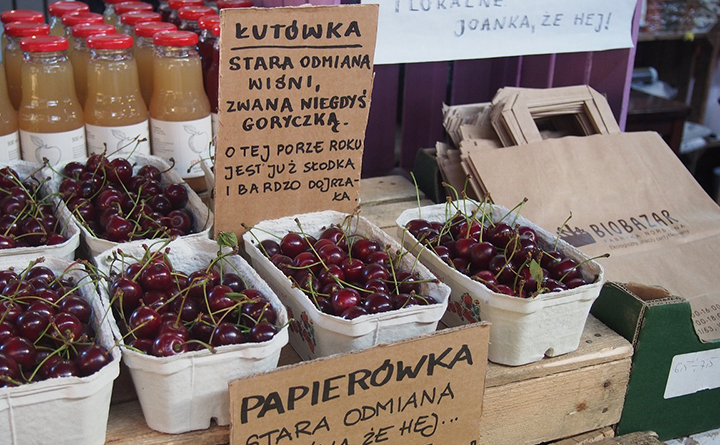 Szkloki do not only have a fresh and original taste, but they also are memories of the unforgettable delicacies of childhood and grandmother’s garden. Indeed, Silesia definitely is a hub of the best breweries in Poland. Browary Tyskie and Browar Żywiecki are still definitely the most recognizable brands. Nevertheless, the region abounds in many local, much smaller breweries. These, in turn, offer a wide range of flavours and types of beers that are very much appreciated by gourmets. 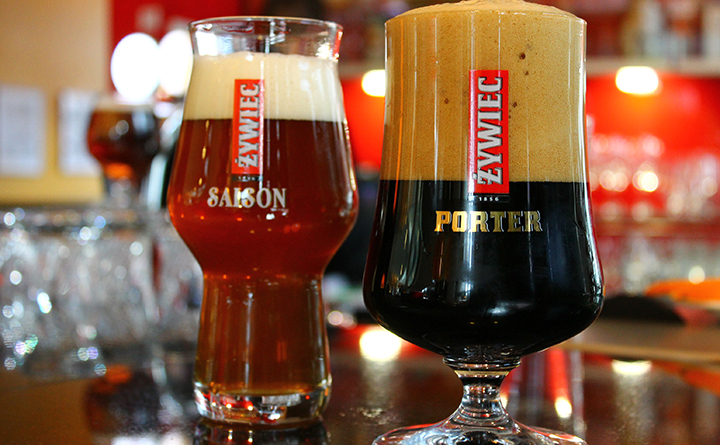 Katowice does not really have its own brewery, but you can find some unique labels such as Cieszyński Browar Mieszczański on the shop shelves or in the city’s pubs and restaurants. While in the city, you must visit its largest multitap bar, Kontynuacja Katowice, located on Mariacka Street, one of the city’s most popular streets for entertainment.